Manufacturer & Supplier of Finger Jet Nozzles. 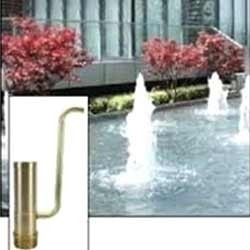 Our product range also comprises of Water Fountains, Raindance Water Systems and Garden Fountains. Being one of the renowned names in the market, we have come up with a qualitative range of Vertical Jet Nozzle. 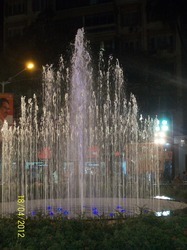 It has a set of jets that make the springing water have the form of a dandelion. In order to ensure the premium quality, provided products is rigorously tested on various quality parameters by best quality experts. Our organization has achieved a milestone in offering a qualitative array of Foam Jets Nozzle to our respected clients. These products are extensively used by our valuable clients to provide white mounds of water in their lowest spray heights. Easy to install and apply, these products are widely acclaimed across the industry. Moreover, our clients can avail these products at economical market rates from us. MOC: Cast Bronze with hard Copper snorkels. Looking for Jet Nozzle ?